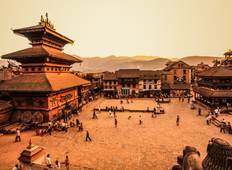 Explore a varied offer of budget discovery tours that will take you through some of the most renowned destinations such as Kathmandu and Pokhara. Each affordable tour will provide you with memorable moments for some of the lowest prices on the market. "Excellent organisation, with helpful guides and fantastic food." Manakamana Treks & Expedition Pvt. Ltd.
"Great timing, delicious food, and great attention to details." "Amazing tour, the hiking was incredible and lots of included activities and meals..."
"Hari was a great guide and looked after us every step of the way." 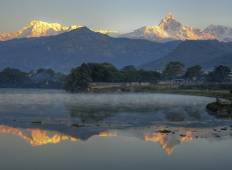 "Draped along the spine of the Himalayas, Nepal is a land of sublime scenery, time-worn..."
"The hole experience was amazing. The views are breathtaking and is not a hard trekking..."